Even though the PS Vita could really use a Monster Hunter game, the next spin-off installment in Capcom's monster hit series is PSP bound. In Japan, Monster Hunter has been key in the PSP's success. 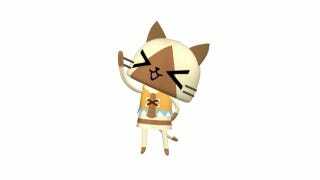 Like Monster Hunter Diary: Poka Poka Airu Village, the game is a spin-off and features those fictional cat people. The game is called Airu de Puzzle, and apparently is a puzzle fighter type game. It'll be out in Japan on July 19. On the PSP!